Most people in the real estate investing world tend to gravitate toward a specialty … a market about which they know ALL the ins and outs. On our latest show, we’ll talk to someone who has made a particular market his bread and butter … the retail market. Wait … isn’t retail dead? No! In this episode we’ll talk with a 30-year veteran of the retail investment industry about WHY the retail market is still completely viable … and HOW you can get started in the wide world of retail. Michael Flight has been involved in shopping center development since 1986. His business, Concordia Realty has been adding value to shopping centers since 1990. In his 30-year career, Michael has seen the retail industry change a lot. Change is one constant in the industry, he says. Several decades ago, the Sears catalogue made a big splash and replaced the business of many local merchants. Today, Sears is going downhill quickly … due to the popularity of online shopping sites like Amazon. But smart investors have found ways to make brick-and-mortar retail thrive. Retail facilities have evolved from single-purpose buildings to multi-function facilities (think shopping malls with restaurants, entertainment, and a wide variety of stores). Businesses like Amazon need space to store and fill orders … another place where real estate folks come in. Michael calls his specialty “de-mall-ing” … that is, taking a struggling mall and changing out the tenants and revitalizing the complex for modern shoppers. One of America’s favorite pastimes is shopping … in person. Although online shopping is increasing in popularity, it’s still only 10 percent of the retail market. And customers flock to big-box stores for necessities like clothes and shoes that are harder to buy online. Investors don’t have to deal with two of the major problems of apartment investing … vacancy and turnover. Tenants typically sign long-term leases ranging from 5 to 40 years to very stable tenants. Michael says many tenants will be national brands who offer lots of equity and will advertise FOR you. Low day-to-day involvement … tenants are responsible for their own maintenance and sometimes even build their own stores. With a triple-net lease, tenants are responsible for real estate taxes, insurance (both property and liability, plus the contents of their store), and maintenance, including common-area maintenance like plowing snow and maintaining lighting. How does the retail market work? What’s the neighborhood like? Is the property located in a good location? Is there an adequate local population to support retail stores? Is there a good travel path? That is, is the center accessible to cars and located near homes and other businesses? Once you’ve made sure those criteria are satisfied, you have to look at what kind of tenants are already there … and what kind of tenants you need. Shopping centers should have an anchor tenant … a grocery store or drug store or other big brand that will draw customers to the shopping complex. When you’re negotiating, anchor tenants often have a lot of power to negotiate terms. But if you have a really great location, that gives YOU more leverage. And you have to make sure customers are going to come. The threat from online retail is real, but that doesn’t mean brick-and-mortar retail stores are failing … it just means investors have to get creative. That might mean integrating omni-channel options … warehouses that provide last-mile delivery and stores that offer online order pick-up, for example. But the big question investors have to look at is how can we get more people here … and keep them here longer? For example, don’t build a shopping center without integrating great places to eat and rest … you’ll get more customers who stick around, and a more successful investment. Michael emphasizes that investors need to know about retail itself, from how retailers do business and which retailers sell what, to merchandising … putting the right tenants in the right spots. That means making sure tenants are complimentary. Have a couple clothing stores? Make sure you look for a shoe store as well. We asked Michael what he looks for when he is figuring out finances. He said he wants the loan-to-square-foot amount to be $100 or less. After that part is figured out, he does underwriting based on a 10-year lease. Lenders range from big lenders to banks or private loans for turnaround situations. “We really like to play in the 1 to 20 million dollar range,” says Michael. This puts him below big institutional facilities … but above the mom-and-pop shops. How long does it usually take to rehab a distressed retail asset? Nothing ever goes as planned, Michael says, but three years is typical to execute a solid business plan. Retail is a LOT different than single-family homes and apartment complexes, so we asked Michael to explain some of the big differences. In retail, tenants typically get a retail improvement allowance. Owners will offer a white box … drywall, drop ceilings, concrete floors, and bathrooms. They often offer an allowance to build out the store to the tenant’s specifications. When tenants have very specific construction specifications, Michael says a good option is offering money or free rent so the tenant can deal with construction on their own. Why should the investor pay for modifications to the retail space? It’s the standard … and investors want to draw in tenants that will stay for 5 or 10 years, or longer. 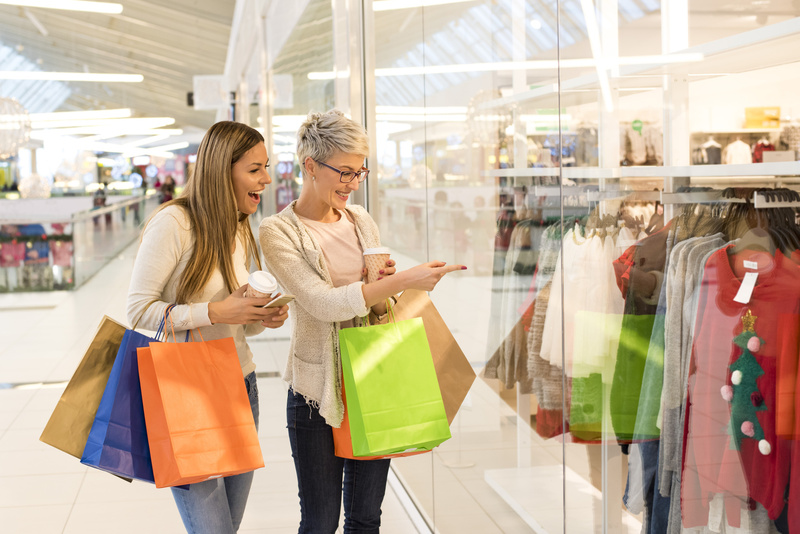 Remember, if you’re not ready yet to take on an entire shopping mall, working with a syndicator is always an excellent way to dip your toes into retail. 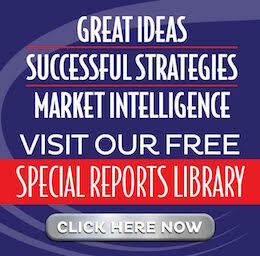 To dive into ALL the details, listen in for access to Michael’s special report on retail investing. He covers the HOW and WHY of retail real estate in depth. You can’t fake 30 years of expertise. Our mission is to find subject matter guides who know what they’re talking about and can educate our audience … YOU. Michael Flight is a great example of someone who walks the talk. He is an expert in this area … and we hope your curiosity about the retail market has been piqued. For more wisdom from experts, check out our Future of Money and Wealth video series … or meet some of the best minds in the investing world at our annual Summit at Sea™.